Chronic pain control can vastly improve the quality of a person's life. In some cases of chronic pain syndrome, the pain is neurological in origin. Chronic pain syndrome is the persistence of pain without the presence of injury. Some chronic pain patients develop this condition in the wake of an injury, while others may experience spontaneous pain. Pain conditions often resist medical treatment and can be frustrating for patients and their doctors. Treatment options vary, depending on the results of medical testing used to learn more about the nature and origins of the pain. Doctors do not agree on the definition of chronic pain. Some say that the persistent pain must be present for at least three months for a patient to have chronic pain syndrome. Others believe that six months or even a year of consistent pain is needed for a diagnosis. In addition to pain, patients may experience mental health problems like anxiety, depression, and anger related to the pain. High stress levels can create a feedback cycle, increasing pain as the patient's muscles tense in response to stress and anxiety. In a patient with chronic pain syndrome, sometimes the pain is neurological in origin. Damage to the nerves or spinal cord can cause pain disorders, with the nerves repeatedly sending pain signals to the brain even when nothing is happening. Others have what is known as nocioceptive chronic pain, referring to bad signals sent by the receptors in the body designed to send pain signals to the nervous system. This type of pain may be experienced on the surface of the body or deeper down, and is often dull and not very localized. Chronic pain syndrome is classified as a disability in many regions. People with chronic pain can have trouble working and may not be able to focus on tasks ranging from social interactions to completing school assignments. 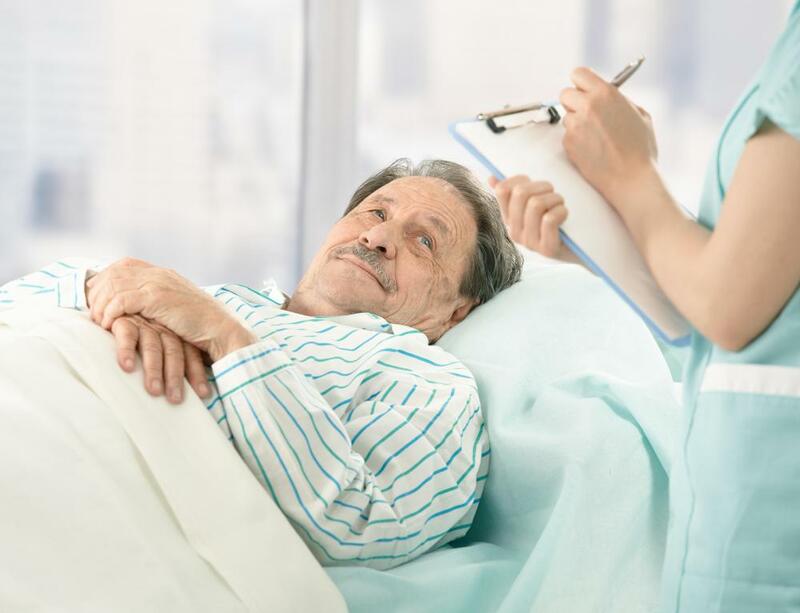 Pain patients can be treated with medications to block pain signals, electrical nerve stimulation to confuse the nerves, and neurotomies, where problem nerves are severed so they stop telling the brain something is wrong when nothing is occurring. Patients with chronic pain syndrome sometimes experience difficulties when they seek medical treatment. Pain is a poorly understood medical phenomenon and such patients may be viewed as drug seekers, even when their pain is real. Seeing a pain specialist can help patients access appropriate treatment. Some patients also experience relief by meeting with a psychologist or psychotherapist, as physical pain sometimes has origins in mental conditions and relieving emotional stress may resolve pain or help patients manage pain more effectively. What are the Best Tips for Chronic Pain Patients? What is the Connection Between Chronic Pain and Depression? What are the Best Treatments for Severe Chronic Pain? What are the Best Methods of Chronic Pain Control? What is Chronic Pelvic Pain Syndrome? The world is progressing incessantly in every field. The field of medicine is not lagging behind, either. Various medical interventions are making life simpler and smoother. Large numbers of pain killers are also available in the market which gives relief from pain. But some of them have addictive properties, if misused. Two of these are heroin and oxycodone. A blog on Findrxonline indicates that oxycodone is a narcotic pain reliever synthesized in the brain. It is an opioid analgesic used for the treatment of moderate to severe pain. Oxycodone is an oral drug and generally prescribed in low dosages because high dosages may be addictive in many cases. Proviron is generally used to provide relief after intensive surgical procedures. It is most popularly used for the treatment of chronic pain, and it is also used for the treatment of neck pain, fibromyalgia, etc. The use of oxycodone also reduces the risk of osteoarthritis and is used for the treatment of cancer.